But what happens if your enemy and your neighbor are one and the same? Our first apartment had a common court yard. The neighbors in the back sat on their second story porch literally and figuratively looking down on us mocking us whenever we went outside. I tried winning them over by talking with them and reasoning with them, but we ultimately had to move. When we moved to South Redondo Beach, which is an upper middle class area, we thought that the people might be a bit higher in class. Before we even moved in, our potential new neighbor tried to convince the landlord that he shouldn’t rent to us though we had never met before. After we moved in, she would leave nasty notes on our back porch because she didn’t like our crying 2-year-old. She ended up getting evicted. Who moved in next? A drug addicted stripper. Another neighbor to the south of us hated squirrels. We came home one day to find half of our beautiful eucalyptus tree cut down—by him—so the squirrels wouldn’t perch there. Then he left poison on our mutual fence for our dogs or kids to possibly eat. We then bought our very first home in a very nice, upper middle class neighborhood. Whatever could go wrong? The second year of our relationship had me tolerating nasty, expletive-laden hand-written notes left on our front porch, along with F-bomb texts multiple times a week. When he followed our pre-pubescent girls down the street in his car, we knew it was time to move. To Texas. The Friendly State. We had high hopes for a great relationship with our new neighbor who lived about a half mile away. We lived on seven acres and had lots of room. Who could bother us now? We had to cross his property for a thousand feet on what is known as an easement. “In Texas,” one Realtor said, “an easement is a four letter word.” I’m going to spare you all the details of this one year relationship, but let me sum it up by saying our neighbor hammered “No Trespassing” signs on both ends of the easement we used. He subtly threatened to shoot us, and has done many other intimidating things. We sat down for breakfast to talk things out but he left, stubbornly refusing a compromise. We had two state mediations with lawyers and the situation may finally be remedied after spending thousands of dollars, but I don’t know if our relationship will ever be improved unless God intervenes directly. Still, we are to love them, that’s why we gave them gifts (which were returned). And that’s why we pray for them. And bless them. And do good to them. But the last straw was about a month ago when they called the Sheriffs on us. What did we do? What horrendous crime did we commit? My wife went to work in the morning and noticed their son’s horse was loose in our neighbor’s lower pasture. She was concerned that he might get hurt because of all the debris in that portion of their property and she asked me to tell our neighbor’s son. Yes, even the Sheriff understood what was going on. Perhaps God will use me to save him as I continue to love my enemy, my neighbor. Then we can both walk on that narrow road. A Chronicle of Our Continued Issues. Prayer requested. As of 1/6/16: We currently have a road man working to build our new road but the ground is too wet and his equipment keeps getting stuck. He can’t finish by our deadline of January 10. We need our neighbors to extend the deadline or we will not be able to get to or from our home. There has been lots of trouble with these people. As of 1/8/16: We are consulting our lawyer on our options. Our neighbor started videotaping my wife as she walked on the main easement, not his. He is using intimidation tactics now. Thank you for praying for these updates. 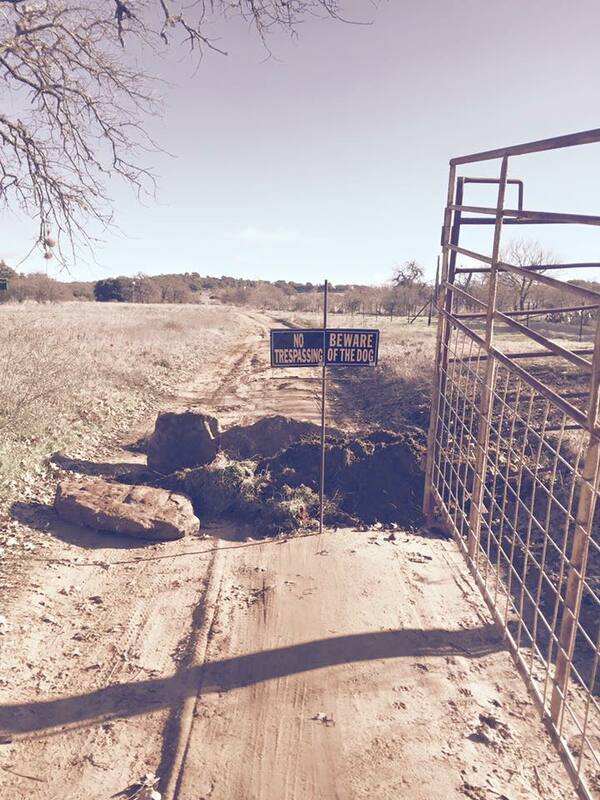 As of 1/9/16 (later in the day): The Sheriffs came and said our new easement is sufficient. Please pray we don’t get stuck. It’s very muddy. Two road builders quit because they got stuck and won’t come back until it’s drier. So, our family will be trusting God each time we drive. We are hopeful that our road man will come out next week to finish our new easement. As of 1/6/18: The new easement has been up now for two years and a 400 foot privacy fence in the back of our property. When I wave to my neighbor as we pass on the road, he waves back. His son still ignores me, though. It’s detente. An uneasy truce. I still pray for that family on occasion. Ugh, Steve, what a story. So sad and frustrating that people CHOOSE to be mean and miserable towards others. You have and continue to pour more grace upon your neighbor than I would be able to. I think I would have lost it a long time ago. You are a wonderful Christian example of what we should be and do to those who mistreat us given who it really is we are trying to represent as His ambassadors. I praise God for you, brother. And you know you have our promise to continue praying for you. Thank you, my brother! You are a source of courage and hope to me! I admire your generosity Steve. I try to have the same generosity and tolerance to the people in my life and am usually successful but it is often difficult. Recently I have found a new appreciation of the need to love others despite their hostility. My job, despite being a good job and lucrative has a large drawback of laying off in November and December. This is necessary due to the nature of the work, which involves data collection, loss prevention, and inventory management for retail outlets who obviously don’t want us in their stores during holiday shopping. Although I am management (I started as a computer tech.) I am not yet salaried so I usually just draw unemployment for two months. This year however my family is planning to travel cross country to visit friends in New York, so we needed extra money. I took a seasonal customer service job with a Christmas gift company. Since starting I have to help people with a variety of problems with their orders. Some of these people are angry, hostile, and even cursing and yelling. I have found that in order to help them, instead of reacting to how they talk to me, I need to put myself in their shoes, understand that they are upset that the gift they planned for people they love is late or defective or just less than perfect. They are emotional because they are stressed and feeling love and disappointment and are just lashing out at me because I am there and have to listen. I have found that when I see this and empathize, and use all my resources to help them, they relax, then calm down, then thank me for saving their Christmas. I think this experience has made me a much better and more loving person. Instead of taking offense, I find myself thinking “how can I help this person, how best can I love my fellow man.” I am already planning to do this again next year. I went from doing a job I didn’t like and was just doing for the money, to wanting to go to work each day just for the opportunity to make my fellow man happier and more satisfied with life. While I can’t understand what it is like to be a minister and devote my life to that, I think I can at least understand the motivation and the joy you get from it. I salute you and wish you nothing but luck and success with your new congregation. And a Merry one to you and yours, Ryk. 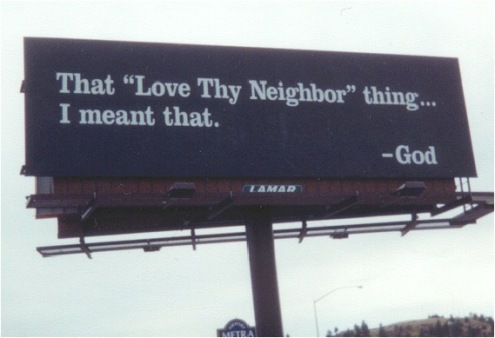 Sounds like you are putting into practice what so many Christians don’t.